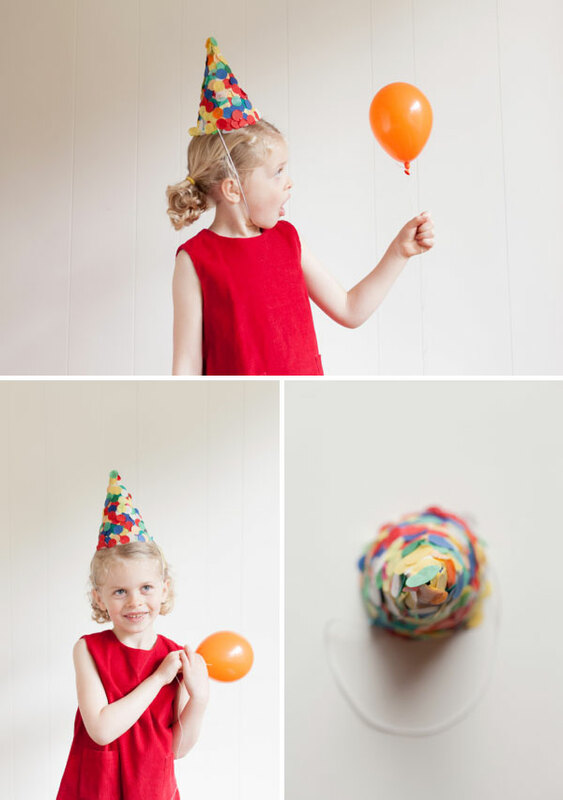 Today, I’m blending two of my favorite things: party hats and confetti! These festive hats are easy to make, super colorful, and a definite crowd pleaser. It’s hard not to smile when there’s a party happening on your head! I got the idea for this technique from Joke’s present wrapping trick. It couldn’t be easier. Just glue and dip! Click through for instructions and more photos! 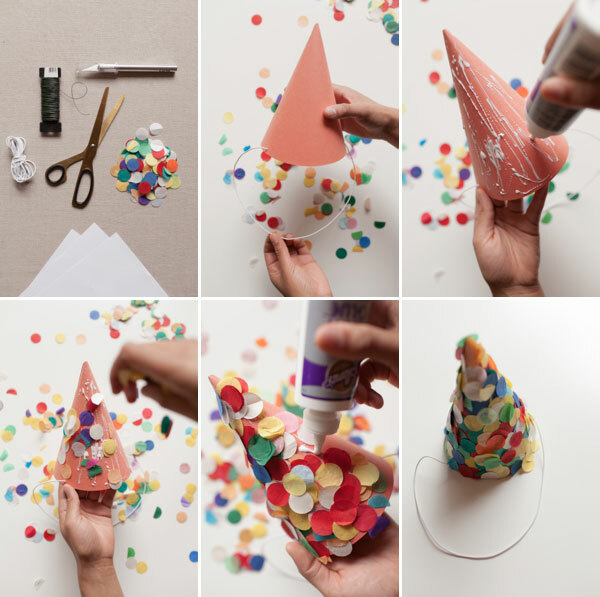 Step 1: After building the party hat (instructions and free template here), spread glue all over hat. Step 2: Sprinkle confetti all over the hat. Step 3: Shake off excess. Step 5: Let dry, and you’re done! It’s fantastic! 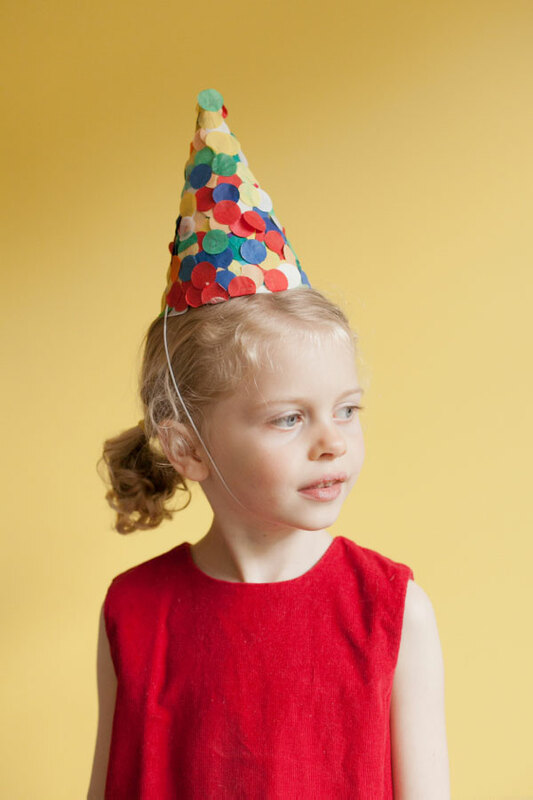 I love the idea of confetti, also, maybe, numbers if for a birthday party, hats full of 5s? Thanks for the tip! Fun, fun, fun. 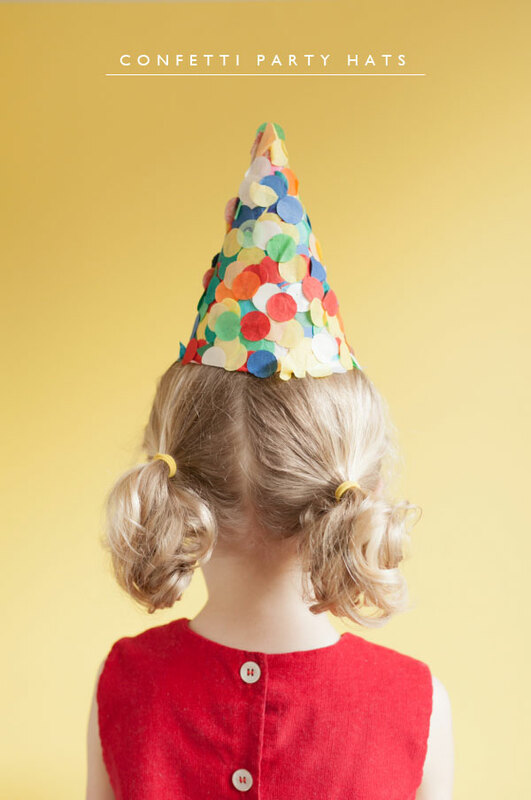 A good party hat always makes partying more fun. 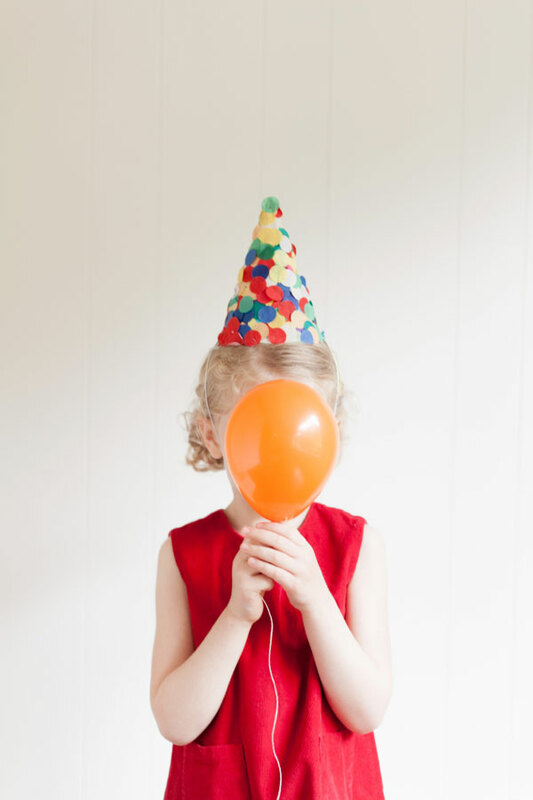 I have a confession to make – I never liked party hats. They always seemed uncomfortable and didn’t fit well, and I can not even begin to count how many times the string would break on mine or somebody else’s hat and they would just get thrown out anyway. hello, big fan here. great job. I wonder if you can share with me the font you used on the title photo of this post? you guys are killing it with the party hats lately loves it. This is a great idea. I might even have to make these for an grownup party with my girlfriends. These would look PERFECT for photos! This is fantastic, as always. Can you just start a party hat blog? I am constantly impressed by the creative hats you come up with!! Thanks for sharing yet again.